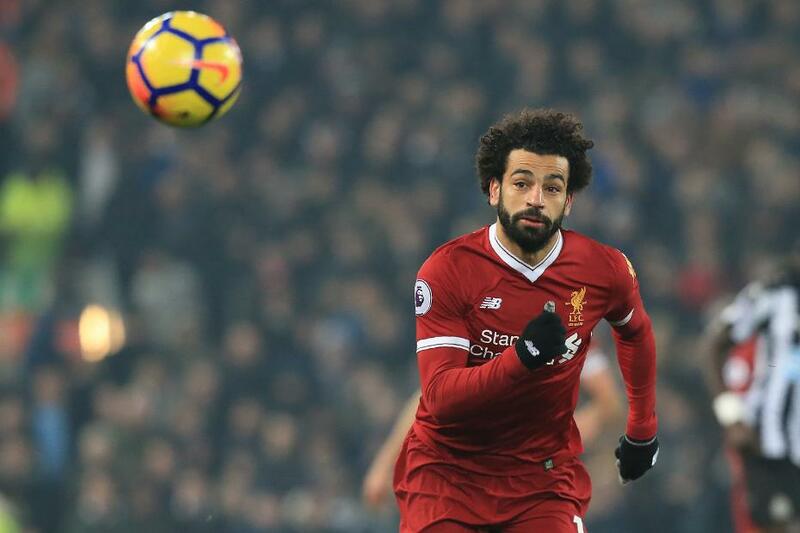 Another Premier League weekend and another Premier League record is within the sights of Mohamed Salah. After his four strikes against Watford set him on course to break the record for most goals in a 38-match season, if the Liverpool star scores at Crystal Palace on Saturday he will equal a mark set only twice before. A goal at Selhurst Park would make it 21 Premier League matches in which Salah has scored this season. Only Cristiano Ronaldo, in 2007/08, and Robin van Persie, in 2012/13, both times for Manchester United, have scored in as many fixtures in a 38-match campaign. The reverse fixture of Saturday’s match, the 1-0 win over Palace at Anfield in August, is one of only 10 matches where Salah has not scored this season. Other teams to stop him have been Manchester City, Newcastle United, Man Utd (twice), Huddersfield Town, Brighton & Hove Albion, West Bromwich Albion and Swansea City (twice). The overall record for most Premier League matches scored in within one season belongs to Andrew Cole. The Newcastle forward struck in 26 of 40 matches he played in 1993/94. Next is Alan Shearer, who scored in 24 matches for Blackburn Rovers the following season, also before the competition was cut to 20 teams.